BELIZE CITY, Belize, Mon. 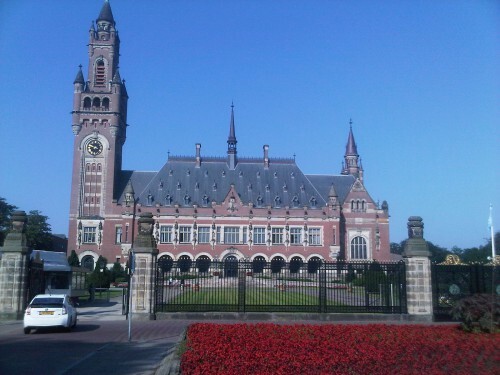 Dec. 3, 2018– In our first story emanating from a visit by Belizean journalists to The Hague (from November 26 to 30) we noted that “no state can be sued if it does not consent to ICJ arbitration.” By consent it is meant that a state concedes that the ICJ has jurisdiction to decide a case. An example of such a case at the ICJ is Congo versus France (2002). The Republic of the Congo alleged that France violated the principle ”that a State may not, in breach of the principle of sovereign equality among all Members of the United Nations . . . exercise its authority on the territory of another State,” and the principle of “criminal immunity of a foreign Head of State — an international customary rule recognized by the jurisprudence of the Court.” France had attempted to prosecute a Congolese interior minister for crimes against humanity and torture allegedly committed in the Congo and sought to get the then Congolese president, Denis Sassou Nguesso as a witness. In its application Congo used Article 38(5) to establish the Court’s jurisdiction “on the consent of the French Republic, which will certainly be given.” And it was. Upon learning of such a mechanism, some may ask whether it can be used by Guatemala – with Belize’s subsequent consent to ICJ jurisdiction — if Belizeans vote “NO” in the April 2019 referendum on taking the Belize-Guatemala territorial dispute to the ICJ. However, a backstop would be Section 2(2)(b) of Belize’s Referendum Act, which states that “any proposed settlement with Guatemala for resolving the Belize/Guatemala dispute” must be put to referendum.